What is a MPRN ? MyUtilityGenius > Posts > Energy Guide > Energy Guide for Geeks > What is a MPRN ? Your gas MPRN (Meter Point Reference Number) is the unique identifying number for your property. Your MPRN is sometimes referred to as a M Number. It is unique to your property and does not change if you change supplier. 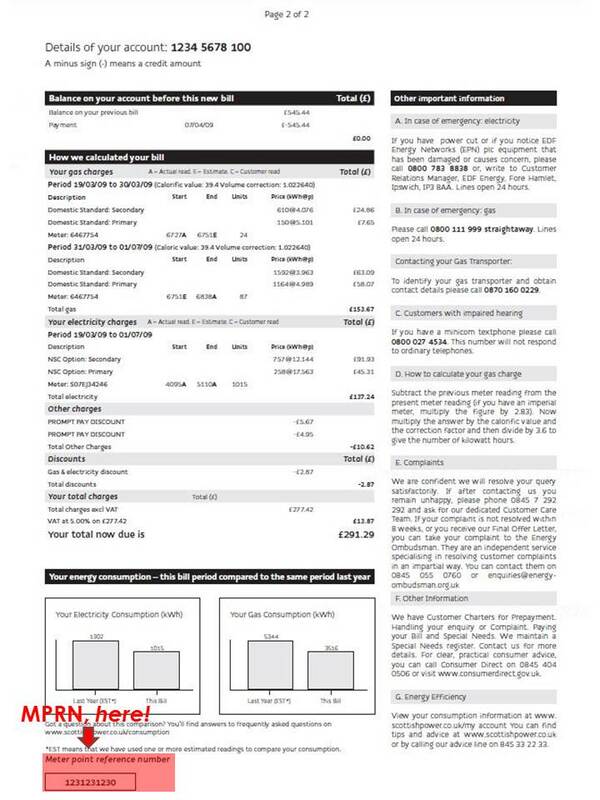 The electricity equivalent is the Meter Point Administration Number. If the gas meter installation in your home is very recent, the MPRN should be displayed on the gas meter itself. 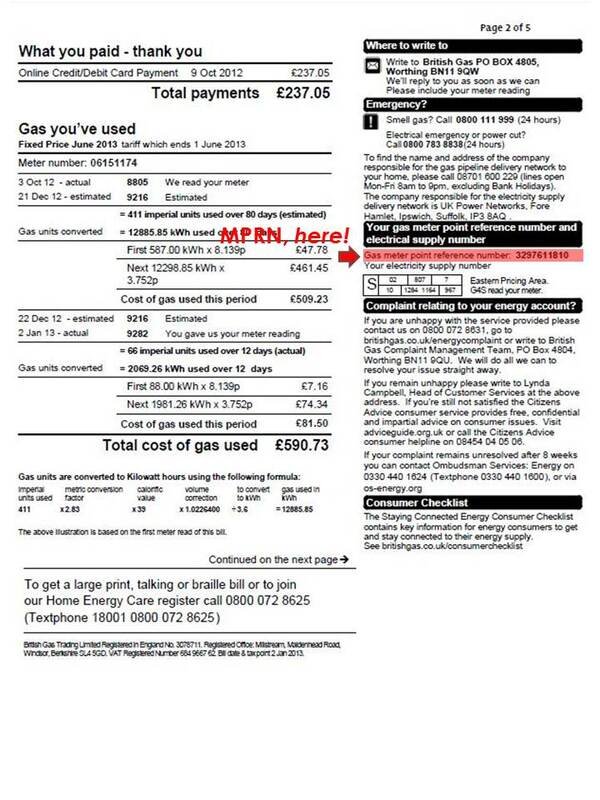 If the gas in your property is piped by an independent gas transporter, your MPRN starts with 74 or 75. 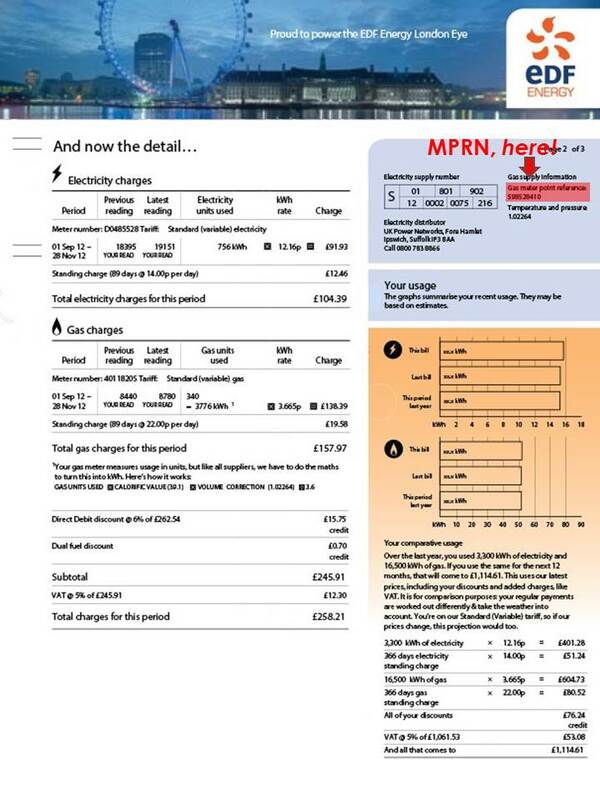 Be aware that some suppliers charge a more expensive rate to customers served by an independent gas transporter. If you have just moved into your home or do not have a gas bill yet, or if for any other reason you can’t find your MPRN, you can call Tranco’s Meter Number Helpline on 0870 608 1524. Please not that Transco can only provide details of MPRNs that do not belong to Independent Gas Transporters. Make sure you receive accurate gas bills from your supplier and take regular gas meter readings to pass on to your energy supplier. Make sure you are getting the best gas deal for your home. MyUtilityGenius compare gas prices for you, here.